Rosie Maynard, a Publishing student at Bath Spa University, explores the future of audiobook publishing in a module Digital Publishing. She examines the unpopularity of audiobooks among publishers (in comparison with ebooks), and claims that it may be attributed to “a lack of adequate financial return”. However, Maynard points out that audiobooks are not yet doomed because they are easy to incorporate into people’s busy lifestyles, and publishers who identify audiobooks’ potential have been attempting to overcome many hurdles. She evaluates the current situation of a few major audiobook publishers, and brings our attention to the importance or good narrators, who can “breathe life into stories”. Additionally, Michael Kozlowski sheds light on Global Audiobook Trends for 2015. He also introduces some interesting facts and figures about the current audiobook industry, with a focus on the industry leader Audible, and shares his views on how audiobooks works differently than e-books on a business level. The audiobook market is still booming, although it is yet to arise as a popular form of “reading” when the whole world is eager to witness the competition between print books and ebooks. 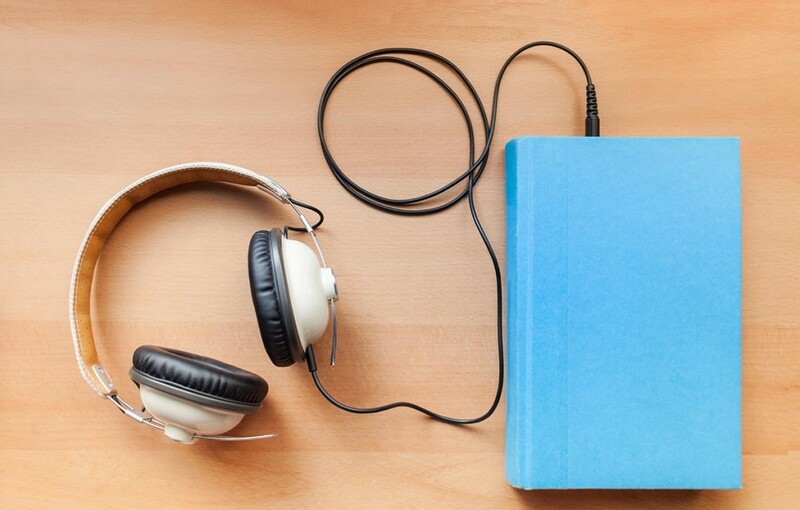 But there’s one thing that we can be sure about: the development of audiobook industry is transforming itself, and it may even transform our definition of publishing and reading once again. Previous PostMore on Author BrandingNext PostInfographically Explained: Should You Self-Publish or Go Traditional? As a busy freelance writer I’m especially glad that audio books are so easy to get hold of now. Audible’s collection has literally doubled the amount I can read and for the first time in my life I’m actually working my way DOWN my ‘To Read’ pile! For someone like myself, audiobooks allow me to read despite a busy schedule. Now, while driving (which is how I earn a living) I listen to books instead of music. True, it is not the same as reading the page, but it helps. I’m glad the future of audio books and talking books for the blind is not completely extinguished, because there are many blind people who need these services to be able to read books for informational purposes, or to simply enjoy a good story. I have recently discovered the convenience of eBooks through the use of ibooks on my iPhone, but I still am an avid reader of talking books, as I am totally blind. Thank you for sharing your thought and experience — it is very inspiring and I believe that the publishing industry should make an effort in creating better audiobooks not only for the sake of pleasure, but for reading to become more accessible for everyone! I have been asked more than once about making my books into audio books – one exists done by the RNIB, but it is only available to registered blind readers. There are definitely readers for whom audio is much more comfortable/convenient (long distance drivers) than reading. I suspect the upfront costs are prohibitive. In the last couple of months, and with the inclusion of the Overdrive app, I’ve begun listening to audiobooks on my android phone. It’s a way of getting in one more book to “read” a month, as I’m now able to listen to the book at my desk in lieu of music. @jenet12…I would agree that reading is much more interactive and still my preferred form of consuming the story. There is still room for imagination, though, because it requires visualization. My level of enjoyment with the three books I’ve listened to thus far comes down to the narration. It’s also more time consuming as I read at a faster pace. Prior to discovering this app, I’d only ever listened to audiobooks when facing a long road trip, especially in rural areas where reliable radio gets dicey. A few words about audiobooks. Let me know what you think. I think that audio books take out the interactivity and imagination of the story. While you are reading a story you are imagining, at the same time, how everything looks and what is happening in the story. Reading is more interactive. You are more immersed in the story. However, it could be just as you said that better narrators are needed. A good narrator can make us feel like children hearing a bedtime story.